Munich is shaped by extraordinary women. We would like to introduce a few of them. This time: Bettina Gundler. 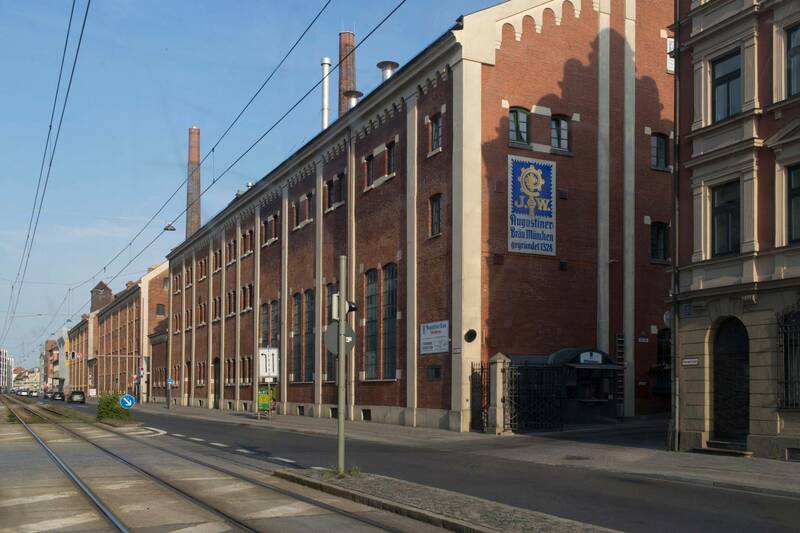 The manager of the Transport Centre at the Deutsches Museum drove with us straight through the city - in tram 19, from Berg am Laim to Pasing. On no other route can you see so much of Munich. A conversation about mobility over time. 4.42 p.m., Friday afternoon, rush hour. Tram number 19 arrives on time to the Berg am Laim station, heading in the direction of München-Pasing. Outside, the sun is glaring; inside, the air is cool and has a pleasant metallic aroma. 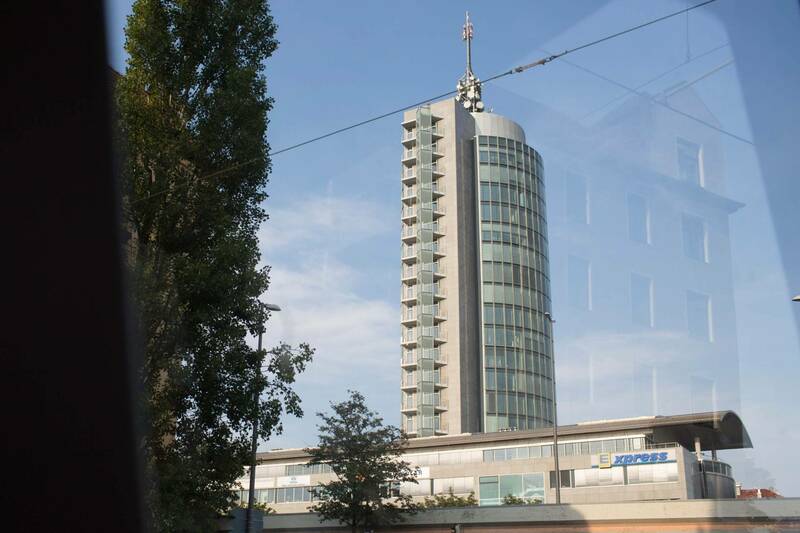 The passengers, who work in the office towers in the east of Munich, are looking at their smartphones and embarking on their journeys home. 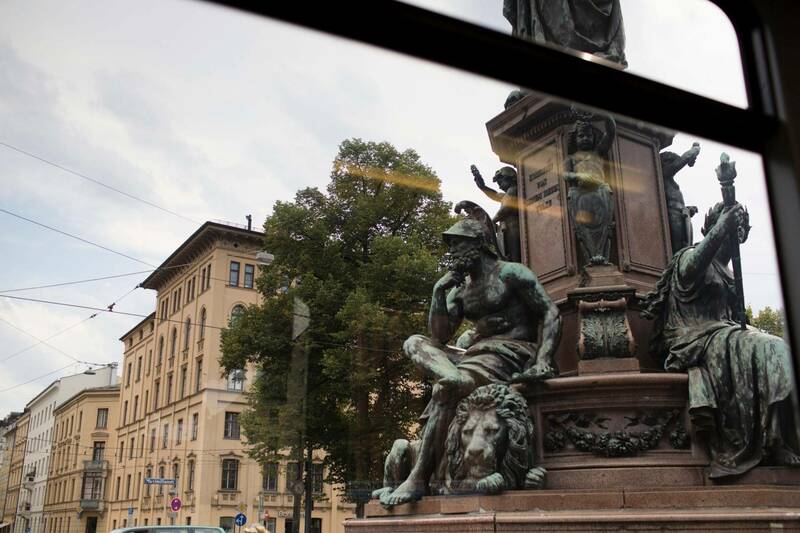 But, if you look out of the window from “the 19”, you can enjoy a far more interesting journey – a journey past the most important hubs in the city, past great monuments like the Maximilianeum or the Bayerischer Hof, through streets with funny names like “Am Knie” (on the knee) – and will have a better understanding of Munich by the time you reach the destination station of Pasing. This is especially the case when you make the journey with Dr Bettina Gundler, who is in charge of the transport collection at the Deutsches Museum. Not quite that. I get just as cross as you do when the train runs late (laughs). But, of course I have a certain professional interest in mobility: I like to try new modes of transport and, when I go travelling, I like to find out how other cities organise their transport systems. It’s fun! And it is great to be in motion. What do you think of the vehicle in which we are currently sitting? Really good. A modern low-floor tram with these wonderfully comfortable, deep entrances. As a young mother I used to struggle with the steps in the tram. In the long run she would also be a nice piece for our collection. But since trams are on duty for a long time, we will have to wait a little longer for this gem (laughs). The tram plays a key role in many television series about Munich. 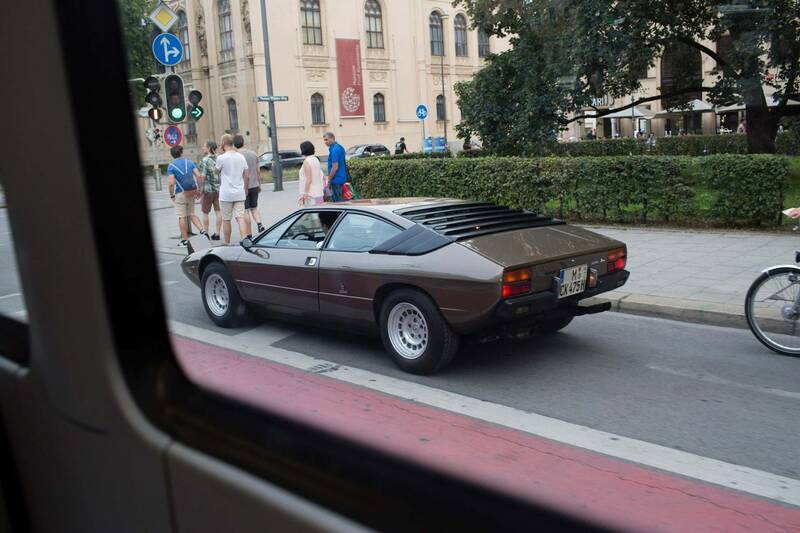 Is it part of a special transport culture in Munich? Absolutely, if you look at it historically, but Munich has a varied transport system now: there is the S-Bahn train, the U-Bahn underground, trams, buses, cars and bikes. You can see it when you look at the figures: round about 22 percent of urban journeys are made with the local transport network; 17 percent of journeys in Munich are made by bike and 30 percent by car. In other cities the car is far more dominant. How do you travel around Munich? I used to travel a lot by car, when I had young children and was their taxi driver. Nowadays I walk a lot or use local transport. If I am in a rush I tend to take the U-Bahn (underground). Otherwise, I like to travel by bus and get to know the city a little better. When I used to drive I was often really stressed, but when I am on a tram or bus I like to look out of the window and think about what awaits me at my destination – it is a great way to slow down the mind. 5.03 p.m. “The 19” rolls almost silently across Max Weber Platz in Haidhausen. 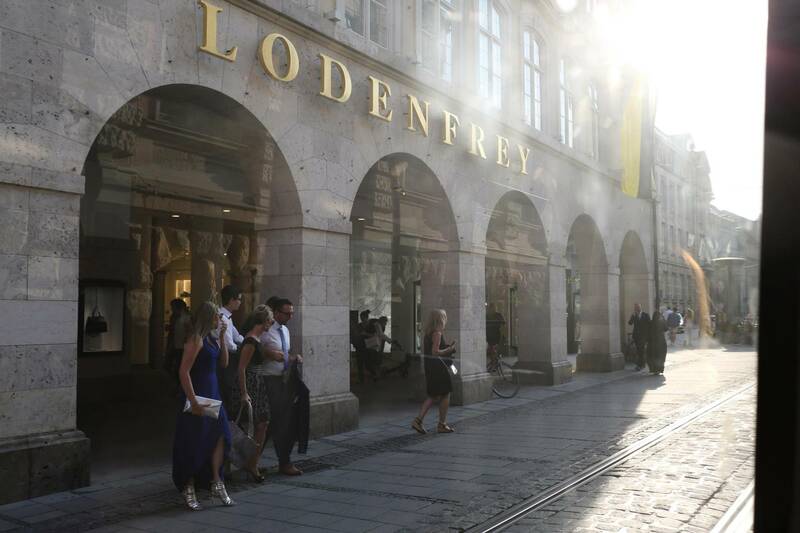 It is one of the many city district centres that run through Munich like a fine net. Bakeries, organic butchers, small kiosks. The Biergarten am Wiener Platz is situated at the bottom of the street and it is one of the most picturesque beer gardens in the city. It almost makes you want to get off the tram and grab a drink. But the tram is soon on its way again, heading down in the direction of the Isar river. Cars and cyclists shake as they travel over the cobble stones, while the tram glides elegantly along the rails, travelling around another corner to pass the Bavarian state parliament building and suddenly, despite the air conditioning, you can smell the fresh, slightly humid air of the Isar riverbanks. The tram continues down the hill. The metal wheels sing as they roll along the rails. Are we speeding up? Is it getting brighter? And then the tram travels over the river. Time stands still. The water ripples. There is golden light everywhere. You could almost imagine that you are not on a grey stone bridge, but instead at the top of the Alps, gazing at the never-ending views. 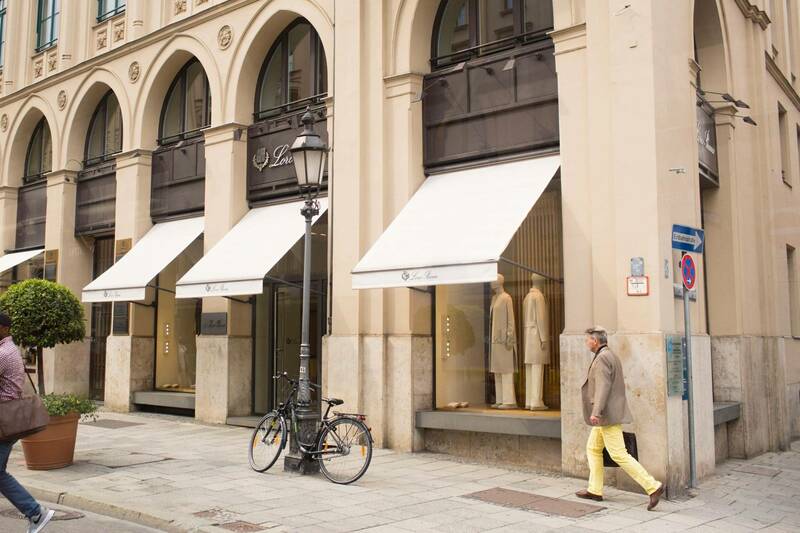 The tram turns into Maximilianstrasse with its many elegant boutiques and you are back in Munich. 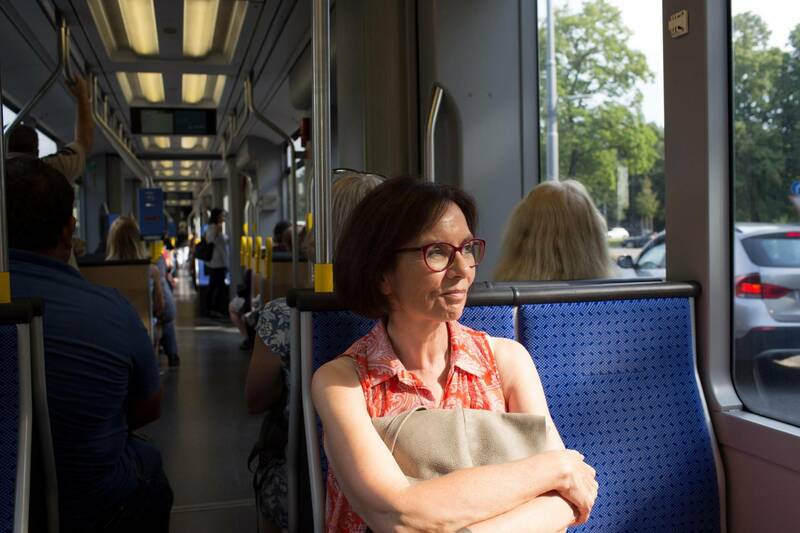 We are travelling with the latest generation of tram – how has mobility developed in Munich? Already in 1840 the first railway between Augsburg and Munich was established. From 1876 on there were the first horse trams, then from 1900 the electric tram. In the beginning it was a vehicle for the wealthy, who took a trip to the city, but in the 1920s the tram was already a mass transport, with which one drove to work. The expansion of the infrastructure reflects the growth of the city of Munich. In the 1960s and 1970s after long discussions, subway and suburban trains were finally built. The 1972 Olympic Games played an important role catalytically. 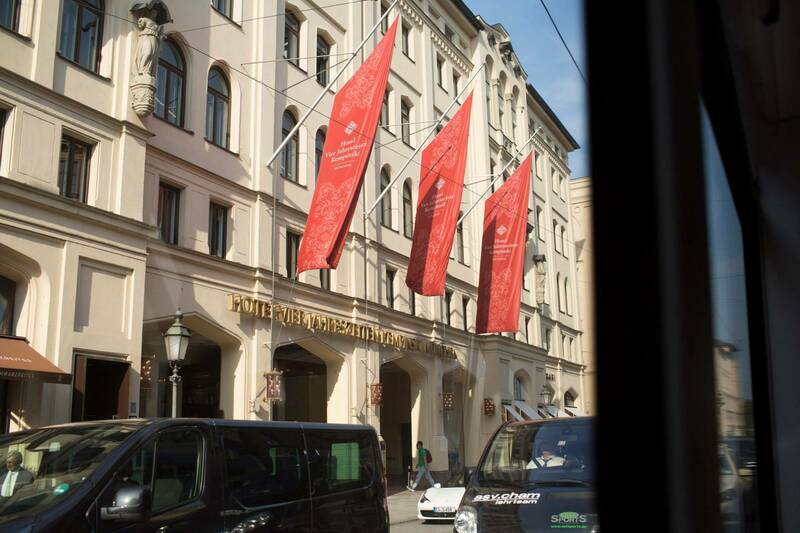 Looking out of the window, I see a traffic jam of cars on Maximilianstrasse. We haven't spoken about cars yet. Cars didn’t play much of a role for a long time. At the end of the 1930s there were about 50,000 cars in Munich and 250,000 up to 300,000 bikes. 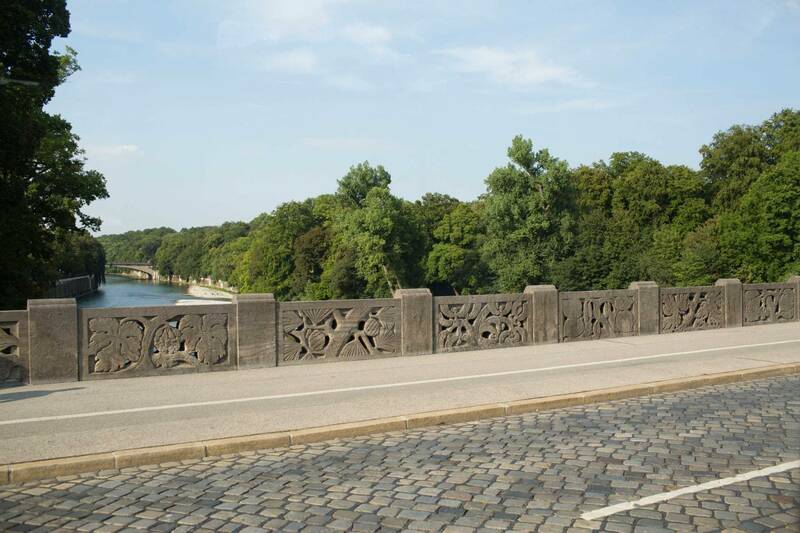 It wasn’t until the Nazi period and later in the post-war era that cars became a coveted consumer good and were given priority – with lasting consequences for public space. 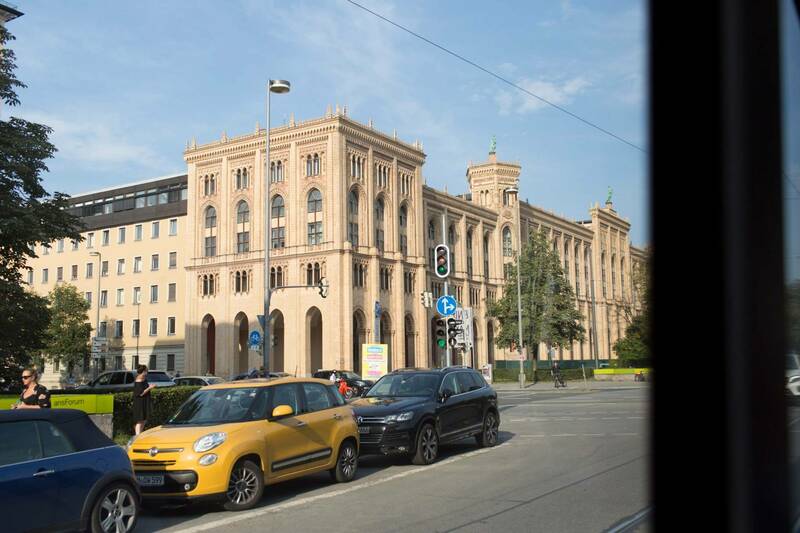 Munich, too, should become "car-friendly". The entire city was to be criss-crossed with a network of highways, which resulted partly in serious damage to the old buildings. Some of these plans were realised. Like the Altstadtring which we are currently travelling on – between Odeonsplatz (Odeon’s Square), Karlsplatz (Stachus) and Sendlinger Tor. Exactly. But the people of Munich didn’t go along with everything. There were plans to build a broad highway along the Viktualienmarkt (food market), but the people successfully protested against it. The people of Munich were more confident than people in other places. Cities are shaped by their inhabitants – by the routes that they take and by the planning-related decisions that they accept. Or don’t. New Yorkers refer to Times Square as the “centre of the universe” because Broadway and so many underground trains pass through it. 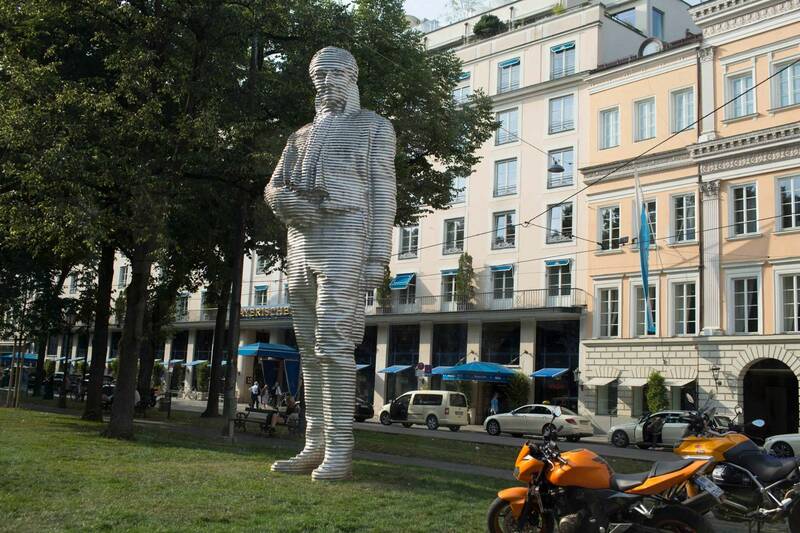 If there was anywhere in Munich that can be compared to this it is Karlsplatz, also known as Stachus. “In the 1960s it was one of the busiest squares in Europe in terms of traffic”, explains Gundler. 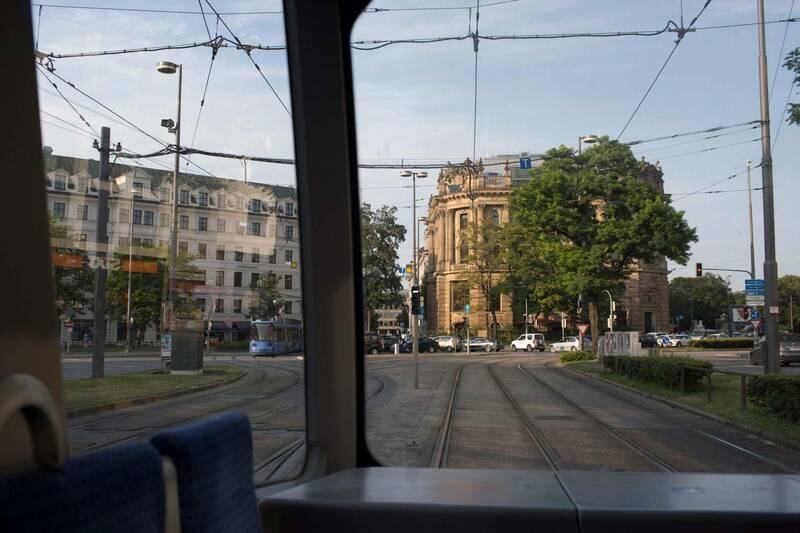 “The 19” now travels past Stachus – a well-ordered chaos: cars, buses, taxis, trams, cyclists, S-Bahn and U-Bahn passengers, pedestrians, inline skaters, segway users... There is no better symbol of a functioning democracy than a bustling intersection. Everyone going their own way, but people can only reach their destination safely if everyone looks out for everyone else. From bans on diesel cars to the building of a second mainline: why are transport policy issues so emotional? Vehicles are more than just technical objects; they are a part of our lives and our culture. The car, for example, enables many people to organize their everyday lives and always is a status symbol. Choosing a car has always been a lifestyle choice and a status symbol. Today this is changing, but mobility is important for all of us personally. At the same time, we are facing major challenges from the growing volume of traffic. It is certainly not always easy to weigh up interests. I would, however, prefer it if these debates were held in a more rational manner and dealt with more quickly. 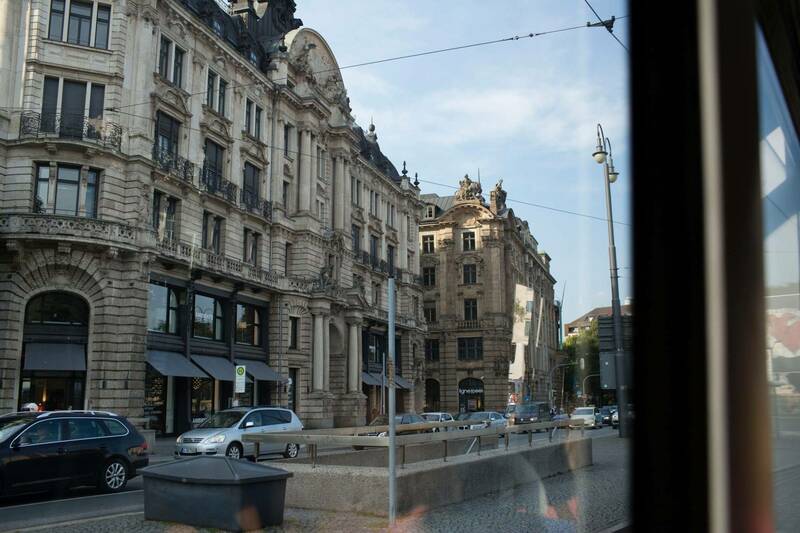 One thing everyone in Munich can agree on is the tram. What do you think? Why do people like the tram with its screeching rails so much? It has developed very differently in different cities. 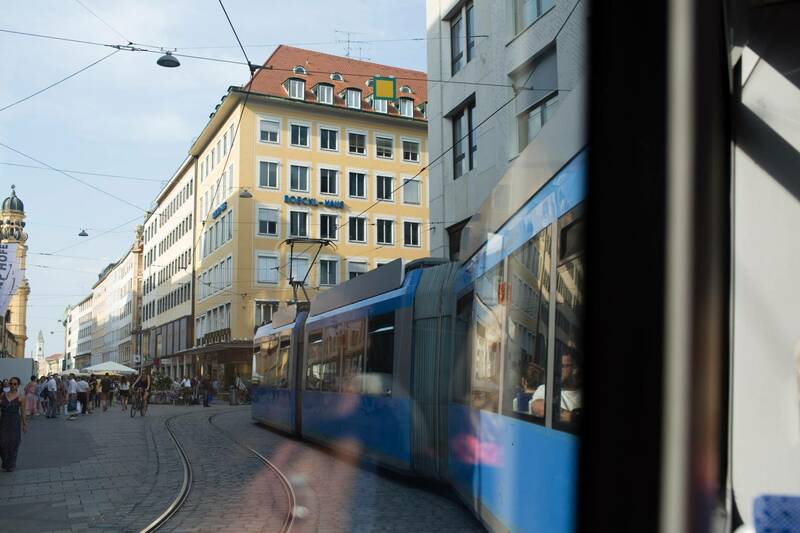 In Munich the tram was very widely accepted from the very beginning and it has enjoyed a renaissance since the 1980s after a time of automotive motorization. This has a lot to do with the modernisation of the carriages in the 1990s. When you look at the street, not that much has changed since the 1920s. There are bikes, cars, trams and trains. Where are our jet packs?! Yes, jet packs would be something else. But means of transport create long-lasting structures. If I have just laid rails, it doesn’t make any sense to create a whole new technology just five years later. Why reinvent the wheel? Which vehicles or aircraft will be on display in the German Museum in 100 years’ time? At least some additional milestones from the 21st century - equipped with new drives and smart technology. I don’t think that flying taxis will be changing urban transport in the near future. And even though we already have a Google car in our collection which can move autonomously, we still have a little to wait before we reach science fiction scenarios. But that is no bad thing. I think that the shift in mobility that is so often talked about will be less obvious than people think: it will be in the many apps, in car-sharing providers, in the new demands and wishes that people have. We have so many options nowadays. We simply need to choose a route and a mode of transport. Movement begins in the mind. 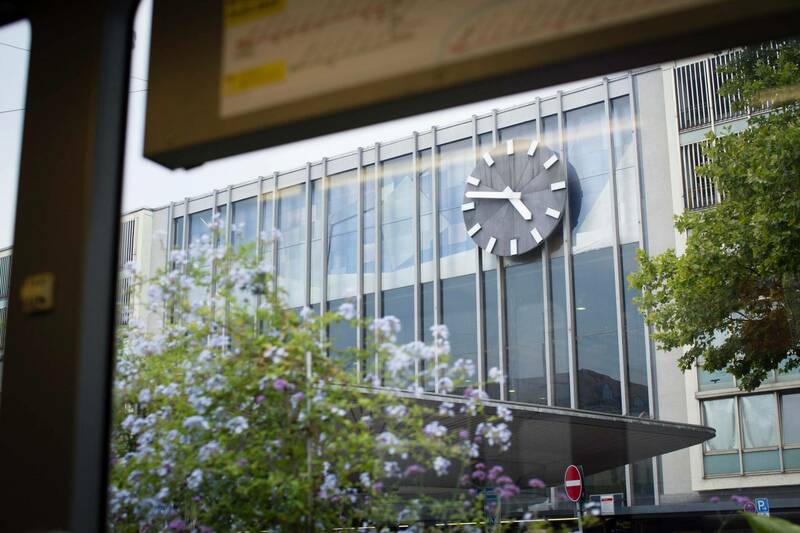 5.31 p.m. “The 19” arrives at its final destination: München-Pasing. The doors open with a hiss and the sound level immediately rises. People crowd through the historic train station to the platforms, speak on their phones, rant, laugh, listen to loud music. It is enough to almost make you want to turn round and get back on the 19 to travel back to the east, to once again pass through the sun-kissed city. Sometimes the journey really is the destination. 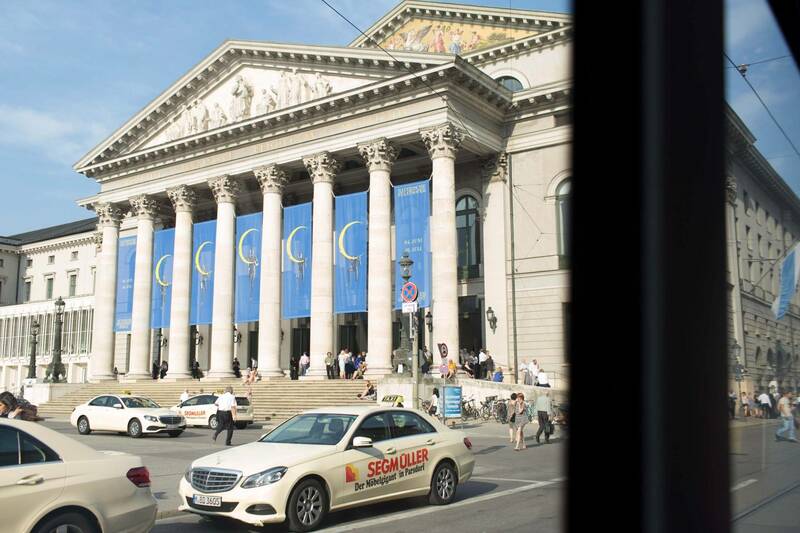 Questionnaire: what's the catchiest song about Munich, Mrs. Gundler?